When a burning oil truck is out of control and racing towards Pontypandy, Fireman Sam pulls off a daring rescue. Mandy and Sarah film the rescue for their new website Pontypandy Planet Online and the clip of Sams heroism goes viral. Don Sledgehammer, Hollywood movie mogul, sees the clip and wants Sam to be the star of his latest movie. Sam is reluctant and thinks that maybe acting should be left to actors, but Boyce will have none of it. Doing his best to bask in Sams glory, Boyce tells Sam that he must make the movie Sam can go back to his old firefighting job when the film is finished. Unfortunately for Sam, his co-star, Hollywood actor Flex Dexter, is determined to get the lead part and will stop at nothing to get it. 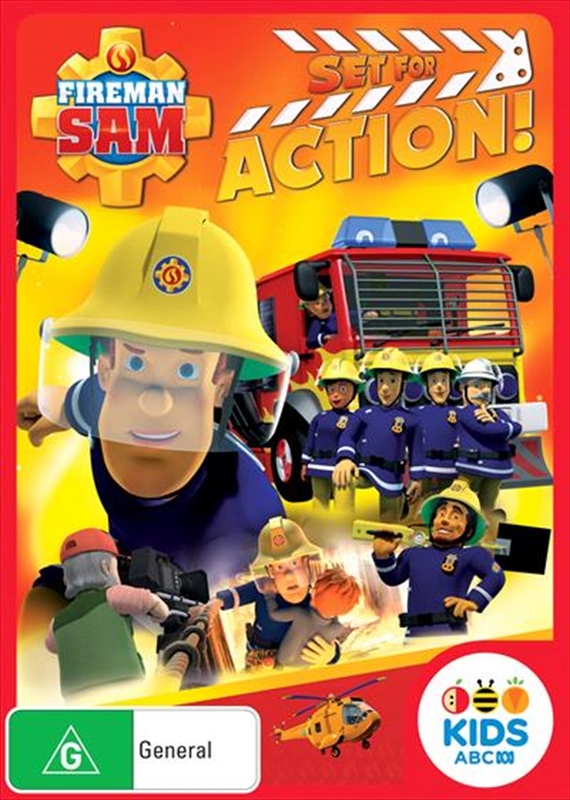 Title: Fireman Sam - Set for Action!